The 2019 Chevrolet Traverse offers plenty of passenger space, cargo space, and power for all your family hauling needs. 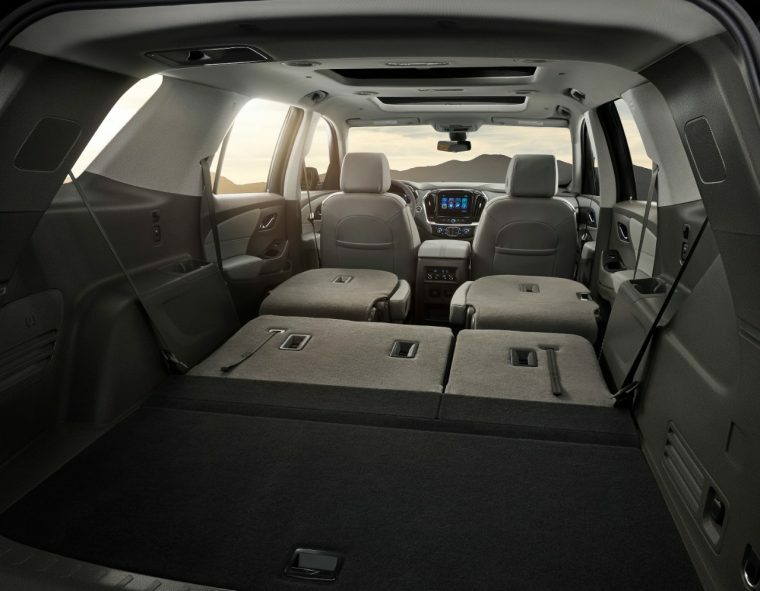 From its striking exterior and standard high-tech features to its relaxing and roomy cabin, the Traverse is a reliable companion for long road trips and grocery store outings alike. 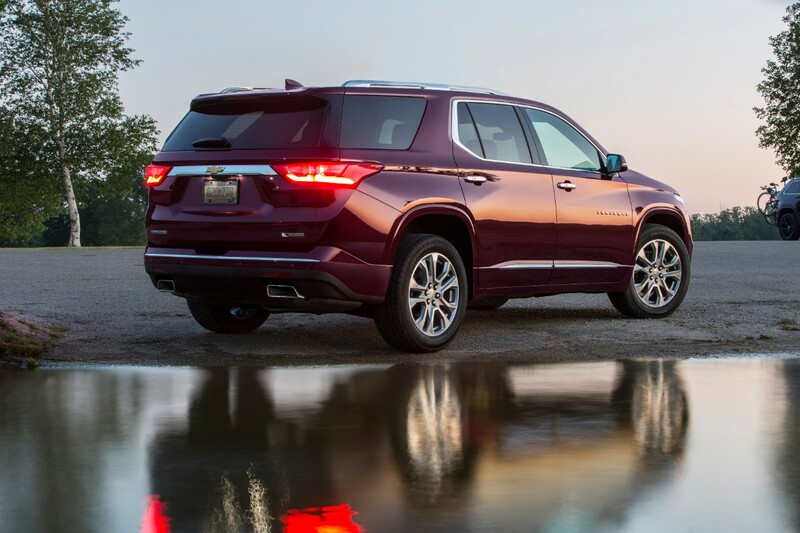 What’s New for the 2019 Chevrolet Traverse? 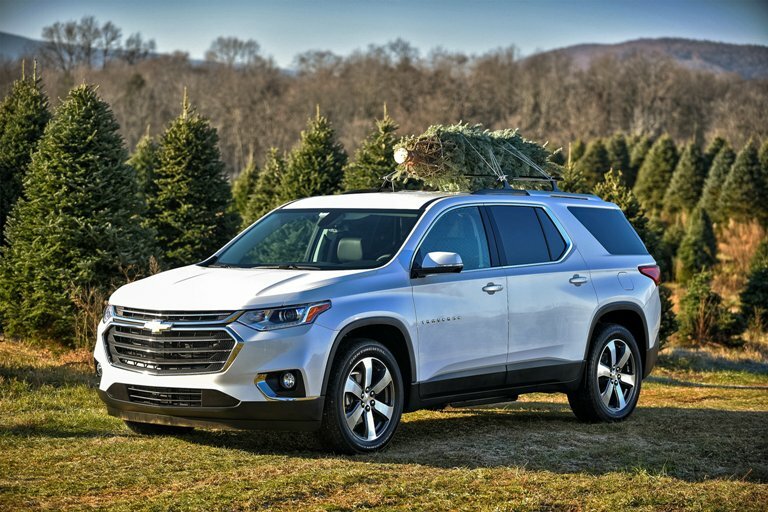 Thanks to a thoroughly successful overhaul in 2018, the Chevrolet Traverse only features a few minor package-related changes for 2019. 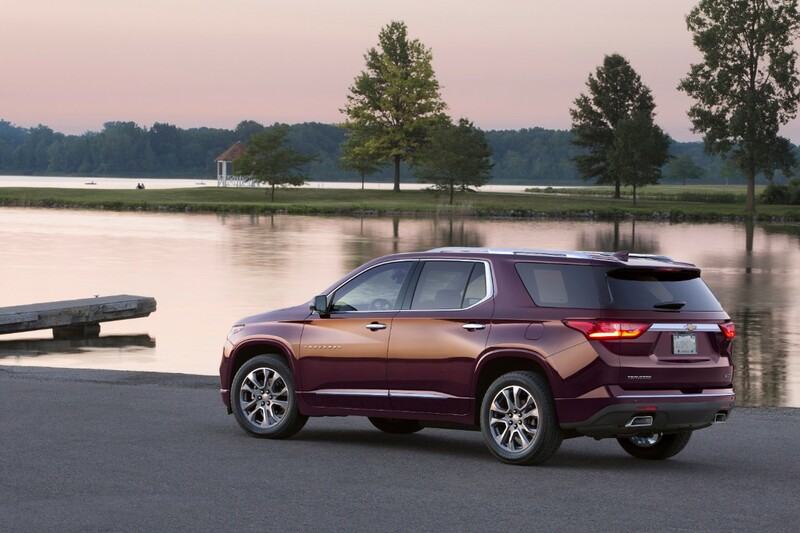 The Premier trim has new liftgate badging, and the Premier and High Country trims have new bright roof rails as part of the Hit the Road Package. 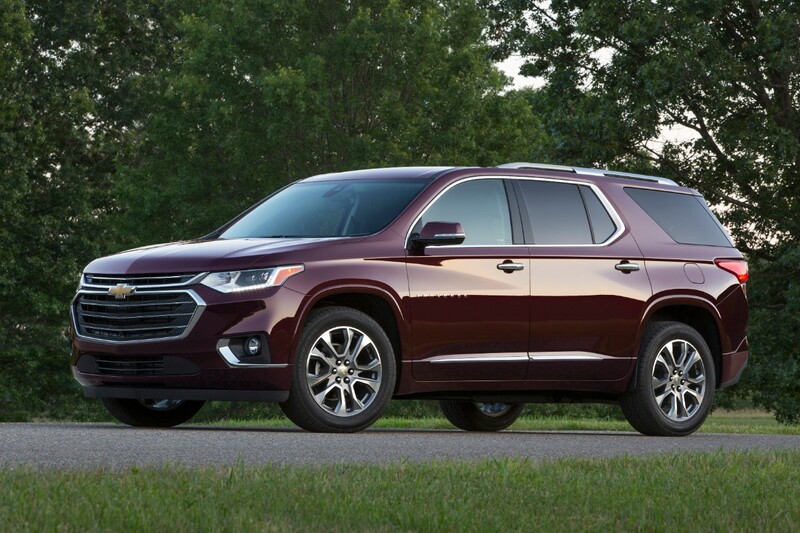 From the outside, the 2019 Chevrolet Traverse looks big, but definitely not bulky. 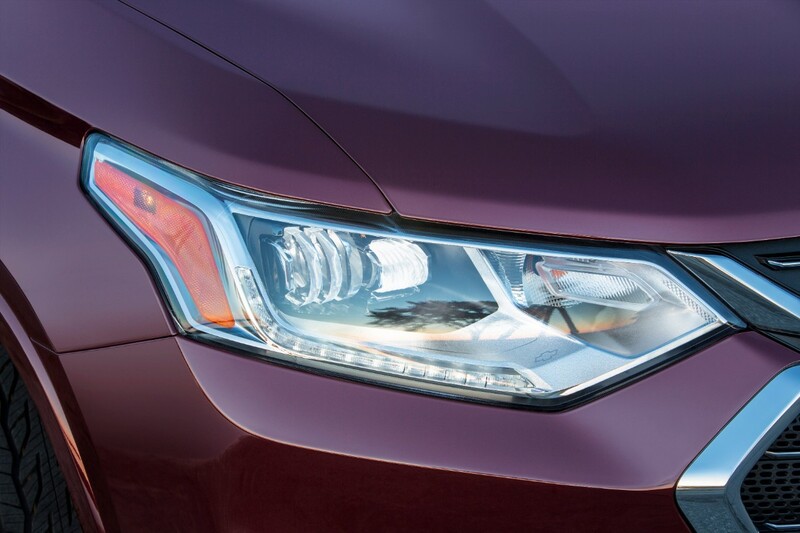 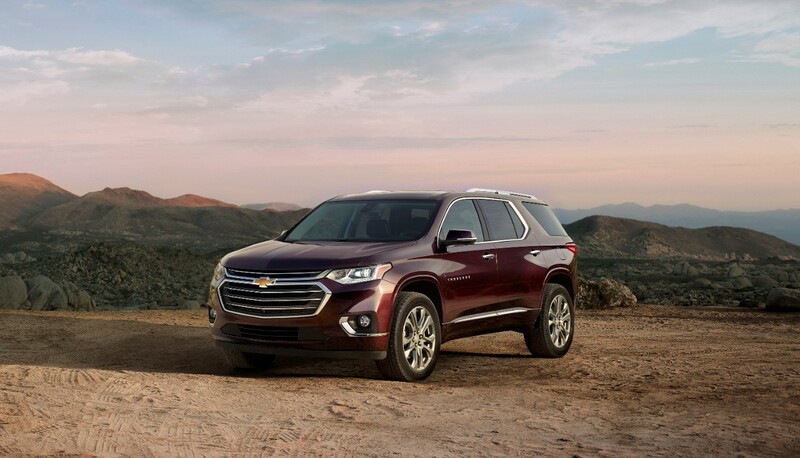 Built with sleek, powerful contours, the Traverse is designed to draw attention. 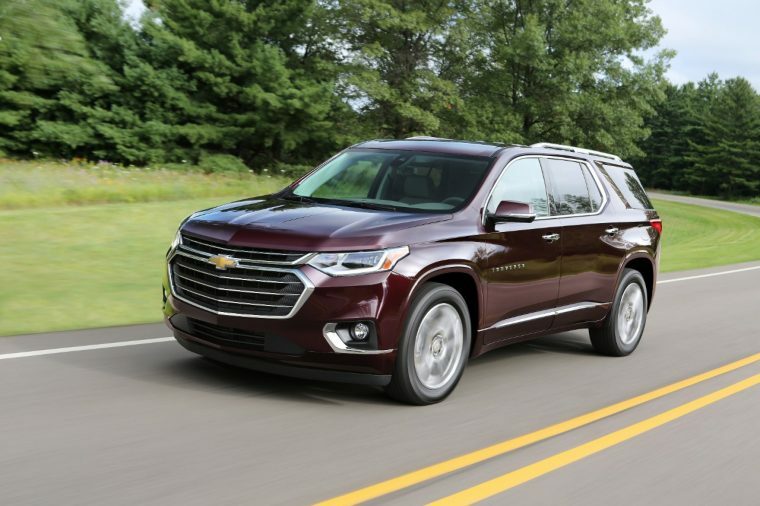 The 2019 Chevrolet Traverse offers two powertrain options. 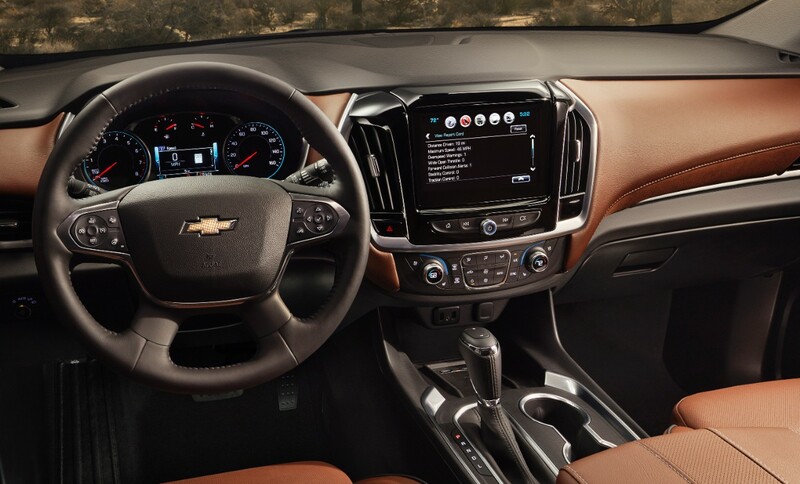 The first is a 3.6-liter V6 engine that delivers 310 horsepower and 266 lb-ft of torque. 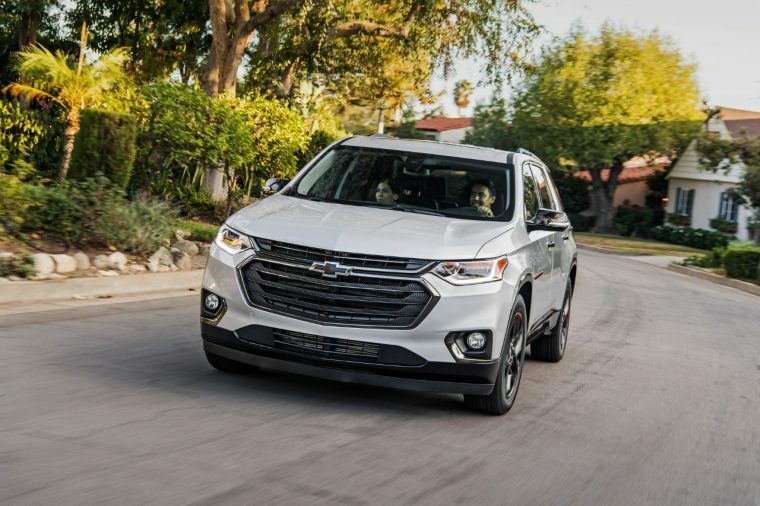 It’s paired with a nine-speed automatic transmission and is available on all 2019 Traverse trims. 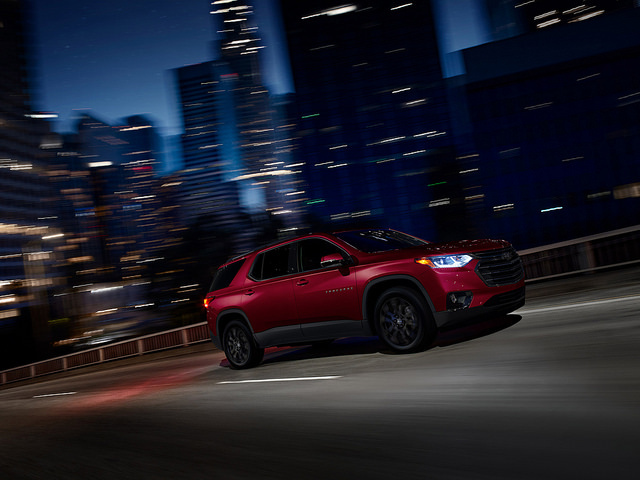 The second option is a 2.0-liter turbocharged four-cylinder engine that puts out 257 horsepower and 295 lb-ft of torque. 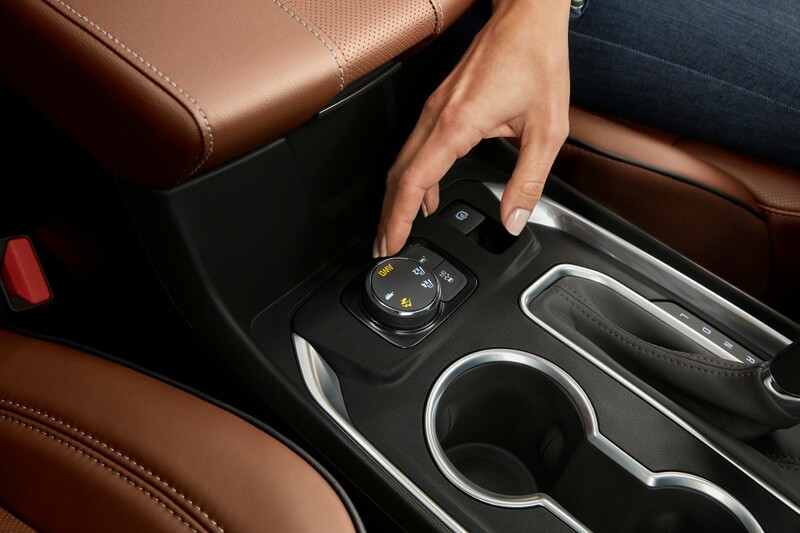 It’s also paired with a nine-speed transmission but is only available on the RS trim. 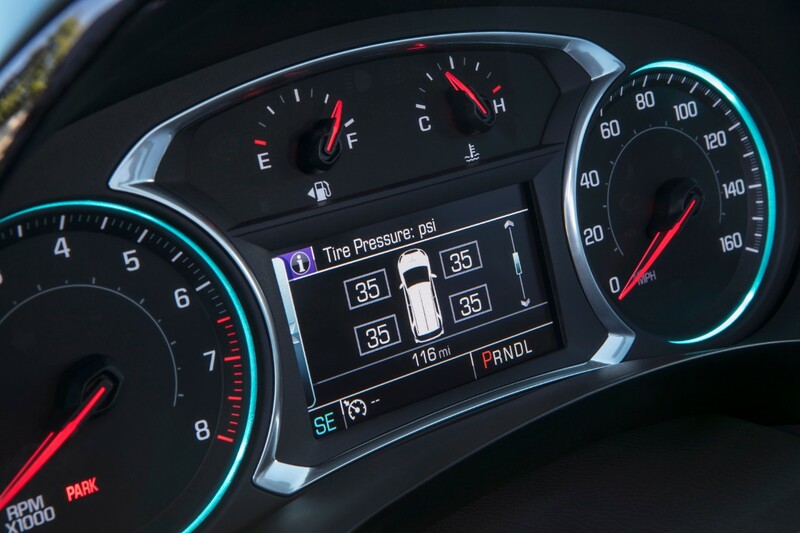 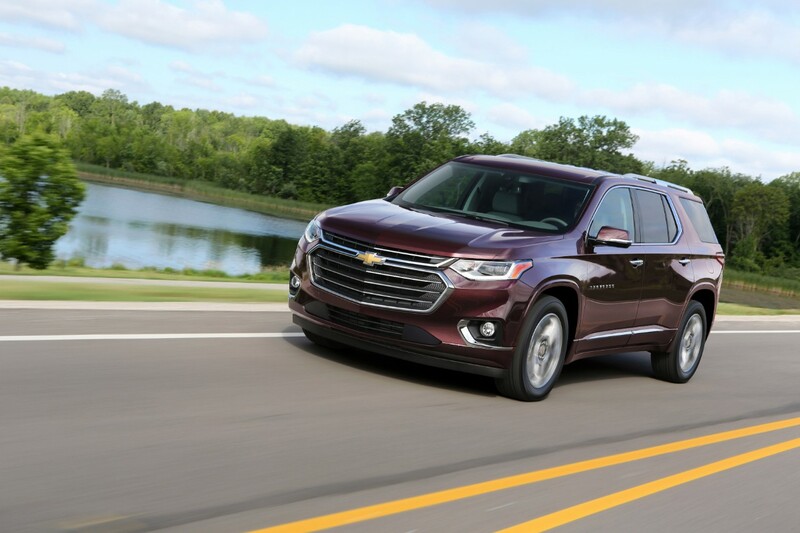 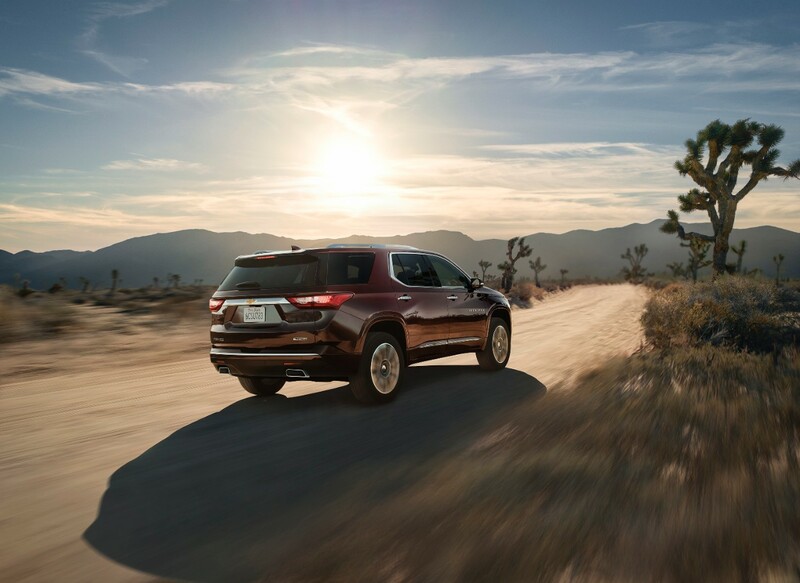 Equipped with the standard 3.6-liter V6 engine, the 2019 Chevrolet Traverse can achieve an EPA-estimated 18 mpg in the city and 27 mpg on the highway. 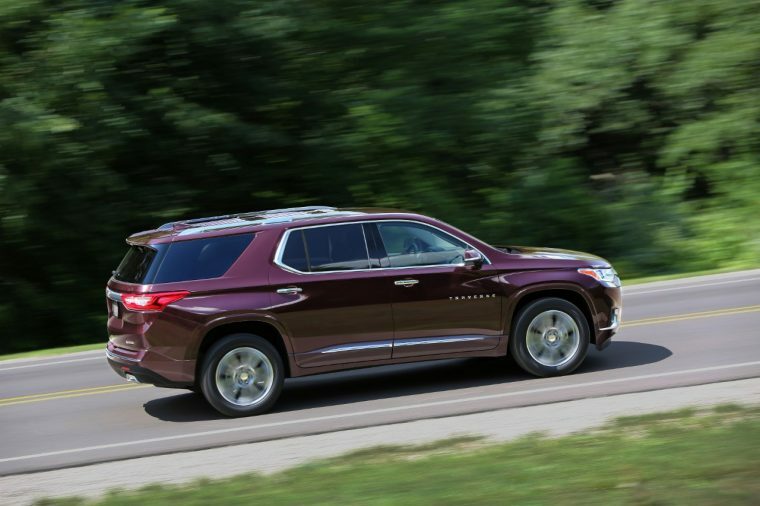 AWD models get 17 mpg in the city and 25 mpg on the highway. 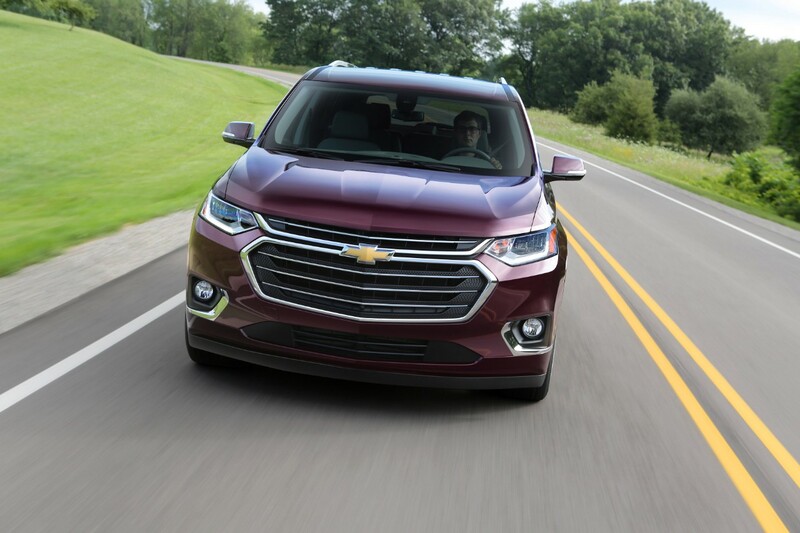 The 2.0-liter turbocharged four-cylinder engine that comes with the Traverse RS is capable of 20 mpg in the city and 26 mpg on the highway. 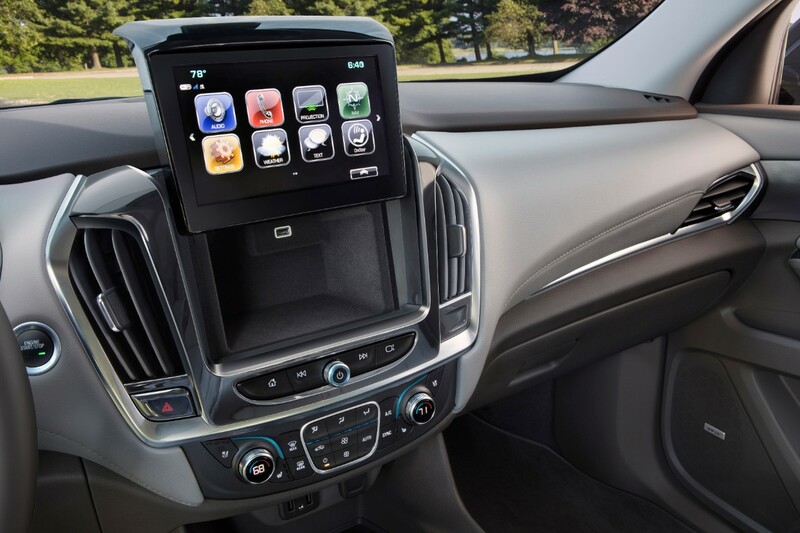 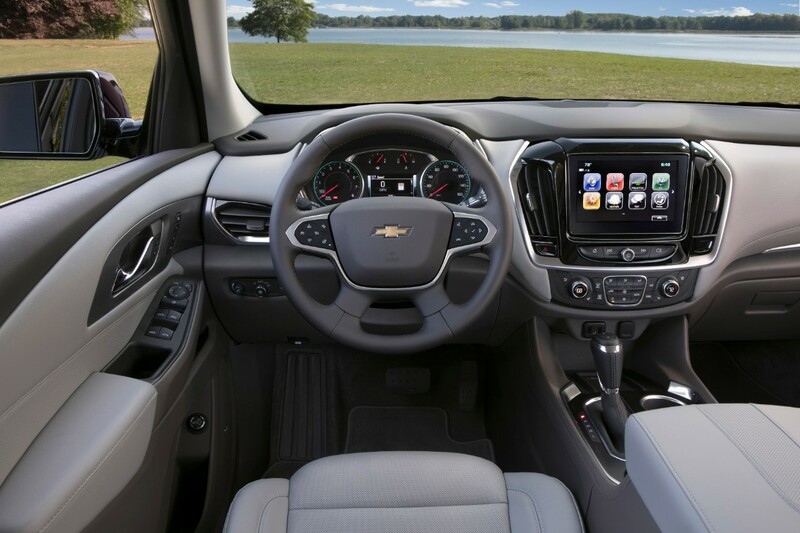 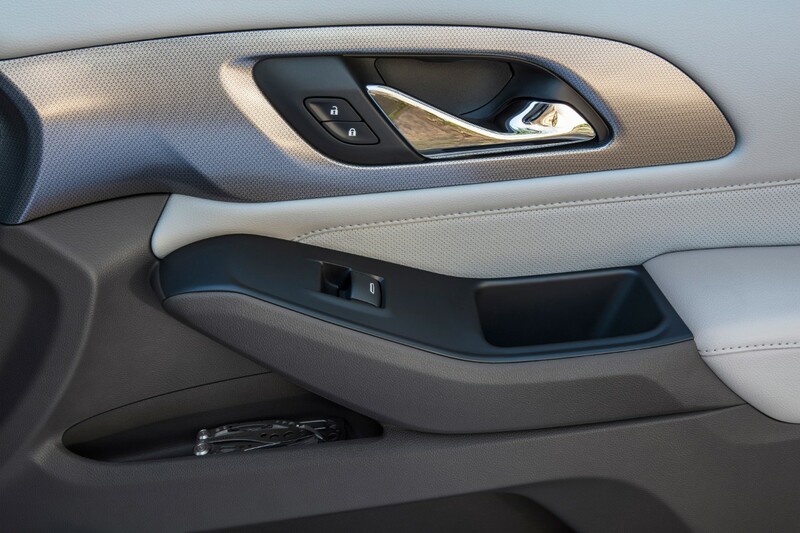 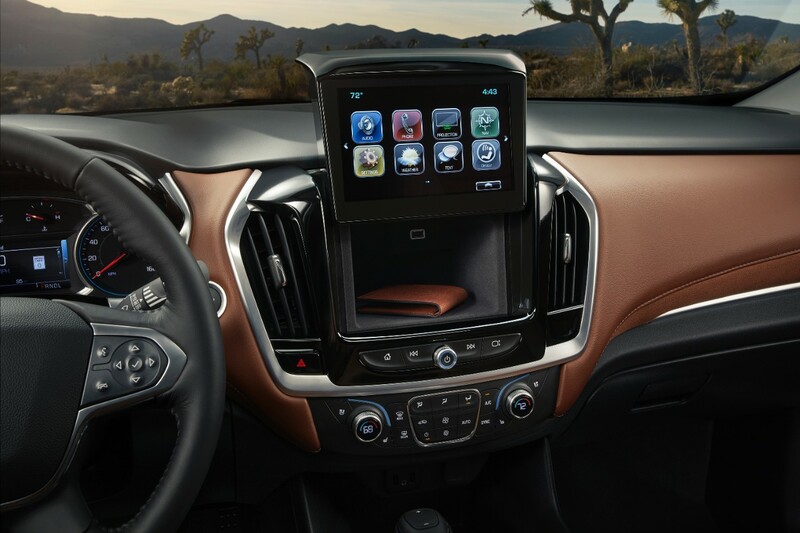 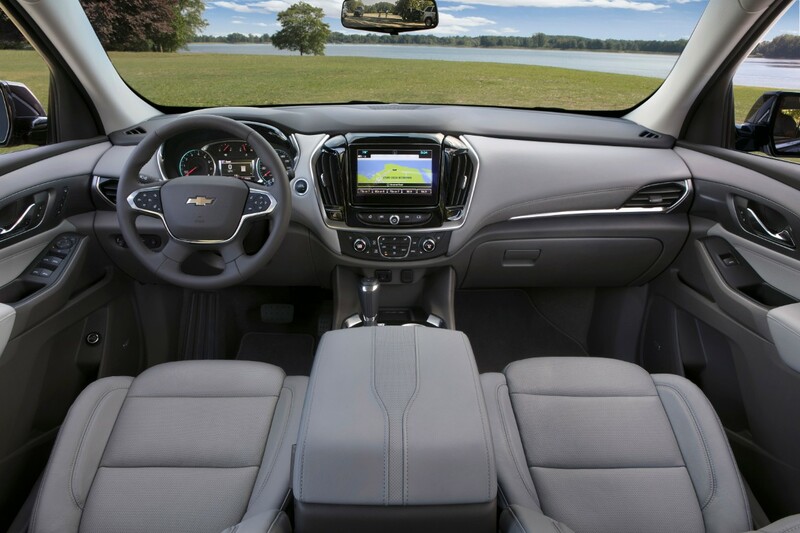 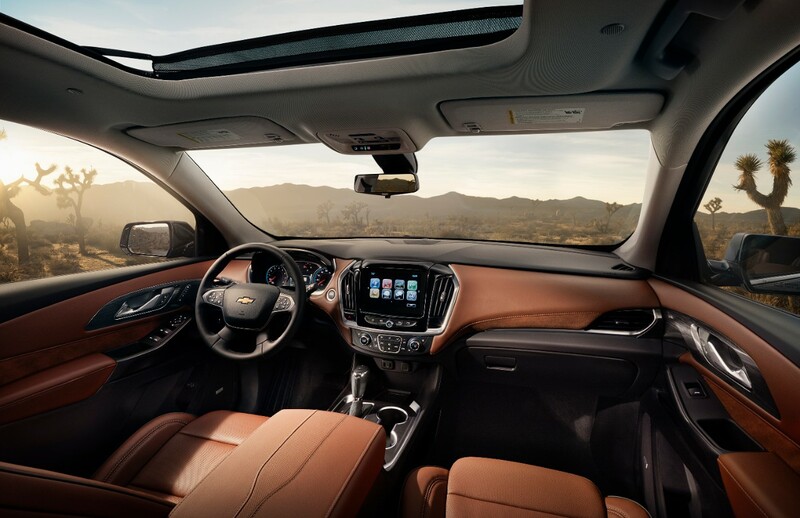 The 2019 Chevrolet Traverse’s interior is comfortable and versatile, with plenty of technology to keep you and your passengers connected, informed, and entertained. 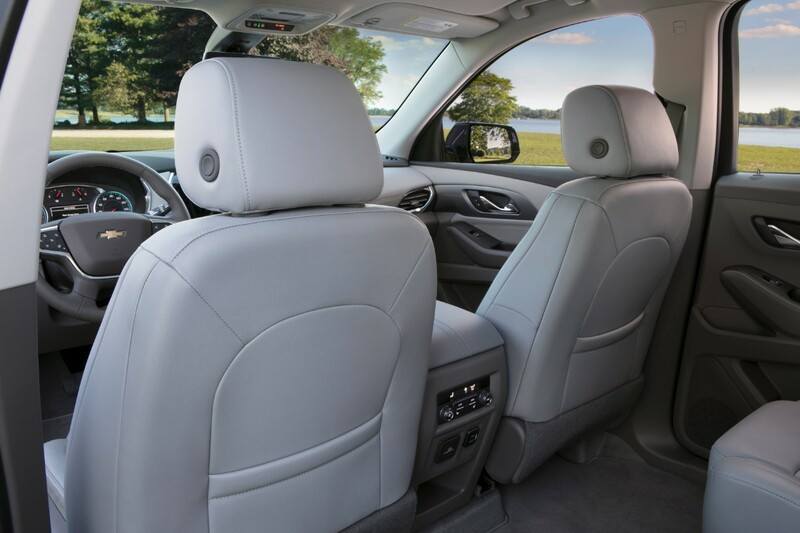 The Traverse can seat up to eight people; or, if carrying cargo is your priority, there’s a maximum 98.2 cubic feet of space available behind the front row. 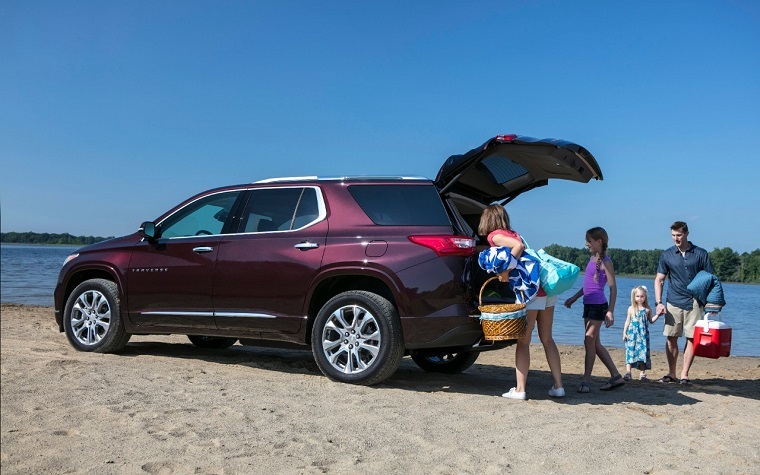 The 2019 Chevrolet Traverse is equipped with plenty of standard safety features to keep you and your family secure. 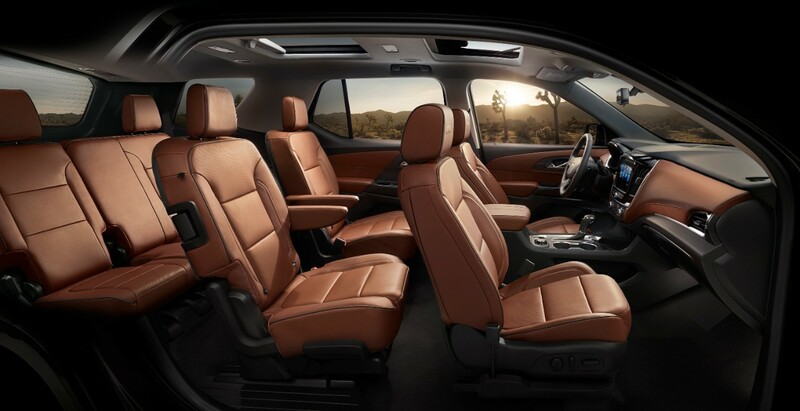 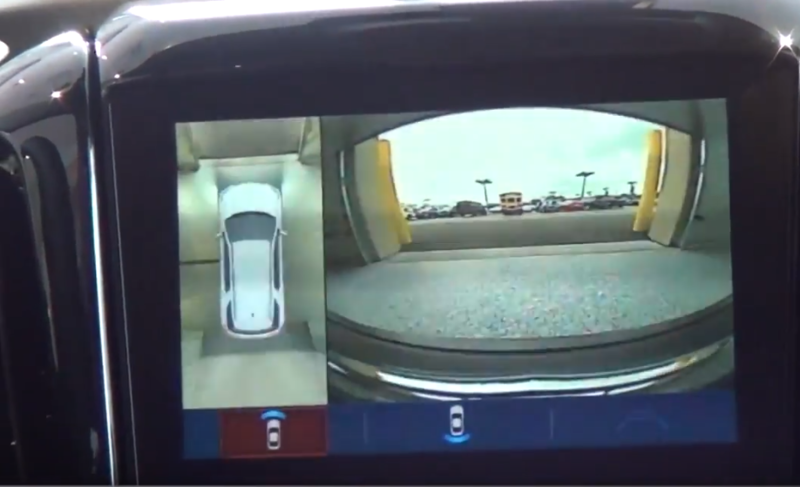 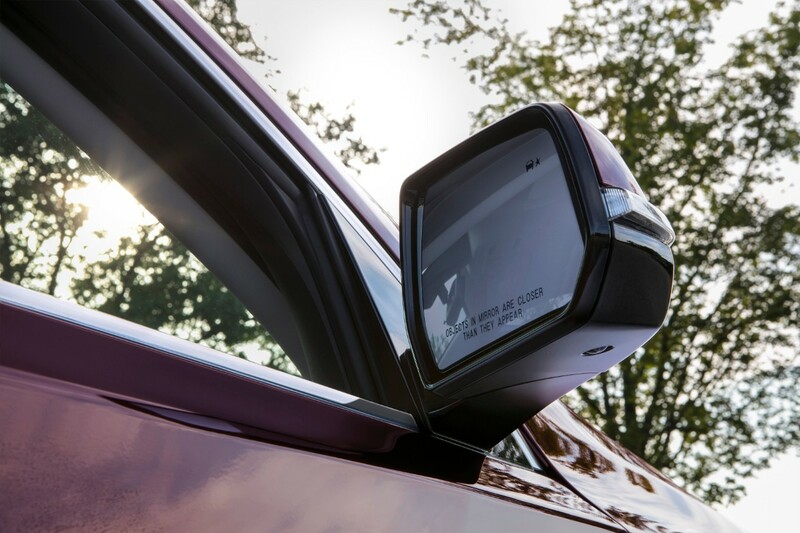 The passenger sensing system and rear seat reminder feature are especially helpful for when you’re trying to keep track of your crew in the rear seats.